Join our community of makers and creatives by renting time in one of our 3D studios! With 2-3D studios available by the hour, Mayfair Arts Studios can be your creative home. 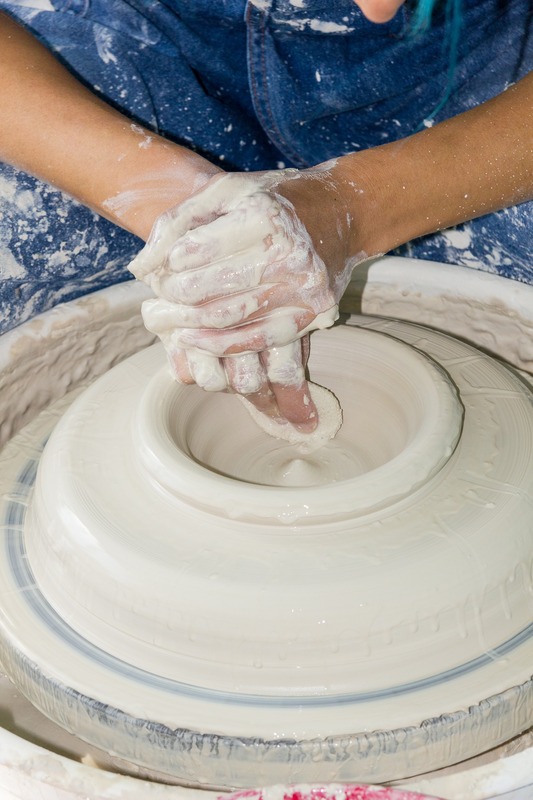 We have a collaborative ceramic studio that includes 2 kilns and up to 20 throwing wheels! Teach a class or rent a wheel, this is your creative time. Our metal and glass studio is perfect for those looking to fuse glass or metal workshop for small projects like jewelry. When you schedule time in our 3D studios you join our creative community! All purchased hours must be used within 90 days/3 months and you can pre-book your hours as needed. All members with access to 3D studios will have to prove basic knowledge and experience with studio equipment.